I was so excited when CNN and HLN asked me to talk about 5 ways to avoid holiday weight gain. I love helping women everywhere feel more confident in their health and in their bodies! 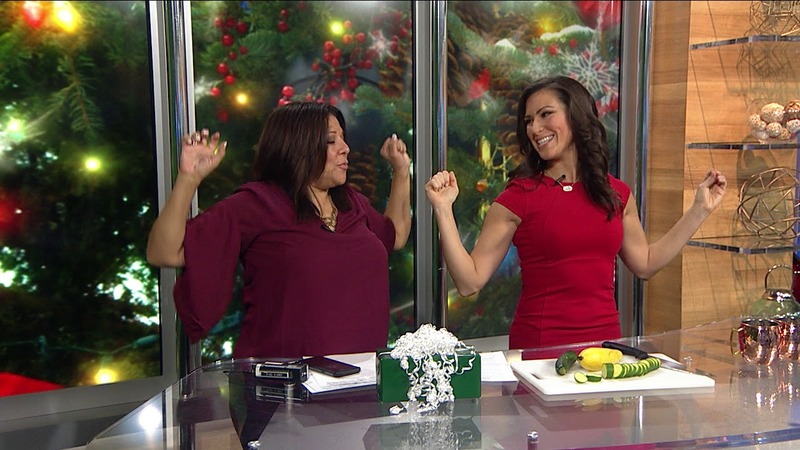 This TV segment was all about practical ways to not gain weight over the holidays. Many of my private weight loss clients have struggled with weight gain over the holidays in the past. However, as a private weight loss coach for women, my number 1 priority is my commitment to my clients’ confidence in themselves. That’s why I combine my expertise from my background in life coaching, personal training, yoga, and Pilates to create customized weight loss programs for women. Each woman who is trying to lose weight is different. And as a Health Expert on TV, I get to create healthy eating tips and wellness tips for TV viewers. These are more general tips that many people can use in their lives. But for my private weight loss clients, their weight loss programs are customized. Each woman is different, and that is a good thing! For this TV segment, I’m sharing my life coaching tips and wellness tips so that you can feel confident about your choices over the holidays. My private weight loss clients are across the country because our weight loss programs for women are all virtual. Many of my private weight loss clients are traveling and trying to lose weight, or they have busy schedules and they’re struggling with weight loss, so my personal training programs are all virtual! I work one on one with my weight loss clients in Chicago no matter where I am geographically. So if you’re in New York and you need the best personal trainer for women, or if you’re in Chicago and want the best wellness coach for women, I’m your gal! 7 Signs Your Weight Loss Program Is Working + An Ab Challenge! Contrary to popular belief, the scale is not the best indicator of physical fitness. If you’ve been working hard on your fitness goals and the scale hasn’t budged– don’t be discouraged! Health and Fitness Expert and Women’s Weight Loss Coach Stephanie Mansour recently contributed to a fantastic article covering all the signs that your current program is working, check it out below! I try to stress to all my private weight loss clients, the importance of taking measurements at the start of any program. This way you can make note of any changes, especially in your hips and waist! Sometimes you will lose inches despite your weight staying the same. Additionally, be aware of how your clothes are fitting, and how your overall energy is. Click here to read the rest of the 7 signs that you’re making progress! Who doesn’t love a good ab workout?? Whether you’re into yoga, pilates, piyo, crossfit, or another form of training, a strong core is a solid foundation for any fitness practice. Ab wheels can be found at most local gyms or purchased for at-home use. Doing ab roll-outs challenges your entire core, of course, but it also can hit your upper back muscles, your shoulders, and both your biceps and triceps! Check out this article for different ways to use your ab wheel or build up strength before using it! If possible, get a personal trainer to show you how to use the ab wheel, this is something I always do for my own weight loss clients so I can give them proper form cues! Work your stabilizer muscles with this beginner-friendly version of a deadlift that model Naomi Campbell was spotted doing on Instagram! Use light weights to get comfortable with the hip hinging movement necessary for regular deadlifts, while also getting in some serious cardio! This exercise is great for your entire core, but will also hit your lower body and shoulders! Click here to learn alternating suitcase deadlifts! If you’re someone who prefers to work out from the comfort of your own home as opposed to a potentially busy gym near you, I have my Step It Up With Steph DVD available for purchase! It includes hiit cardio workouts, a pilates ab routine, even yoga and meditation; the whole package! Thinking about what goals you want to accomplish in the New Year? Maybe you want to build up to more days in the gym, try out a fun new cardio class, add more leafy greens into your diet, or check out new ways to de-stress? Whatever it is you’re wanting to accomplish— I’m with you! The end of the year is fast approaching, read this interview for my 2019 Health Tips! Being both Italian and Lebanese, believe me when I say I know the struggle of controlling yourself around amazing food, especially around the holidays! BONUS! 6 Mental Tricks for combating holiday weight gain. Holidays can be full of temptation; after work cocktails, everybody bringing trays of baked goods into the office, your mom’s homemade pies, etc. Learn a few of my tested mental tricks and stay on track while not feeling deprived! From one word mantras, to rescheduling missed workouts, to fighting off sugar cravings– I’ve got you covered. Just follow this link to learn those hacks! Keep the weight loss ball rolling while enjoying life. And if you slip up? Don’t beat yourself up over it! Just get back on your feet and be prepared to Step It Up with me! During my work as a private weight loss coach for women, I am frequently consulted for my take on the latest fitness trends. I want everyone to have access to the best data that will help them accomplish their goals. From mental tricks to breakdowns of how to work out like the top celebs, check out my most recent articles below! Have you been out of the gym for a while? Struggling with working out on a consistent basis? Don’t beat yourself up over it, it happens to all of us! Check out this article from NBC where I highlight six mental “tricks” you can employ to get back in the exercise habit. Click here for those 6 tricks! I gave my input on these sliding hamstring curls that Blake Lively’s trainer uses to sculpt and strengthen client’s lower bodies. Or if that move seems a little too intense right now, try out this low-impact, at-home cardio circuit that Octavia Spencer is currently using to stay healthy. Hiit up that cardio here. Do you totally love all things yoga, but worry that it isn’t enough of a workout to help you reach your fitness goals? I’ve got good news! I wrote two articles for Today , the first outlines a few sneaky ways you can kick your flow up a notch and burn extra calories! The second gives five hacks for squeezing movement into your otherwise busy schedule. Click here for Yoga. I recommend yoga to all my clients and even include a yoga workout on my Step It Up With Steph DVD. Click here for easy ways to move every single day! Being consistent in the gym can lead to reduced stress which, in turn, can lead to being more consistent in the bedroom. Natural Awakenings put together a whole piece on the effects of fitness on both male and female libidos. Check out my contribution to that article here. When you’re surrounded by summer treats at BBQs, outdoor happy hours, and on vacation, your sweet tooth may rear its ugly head! 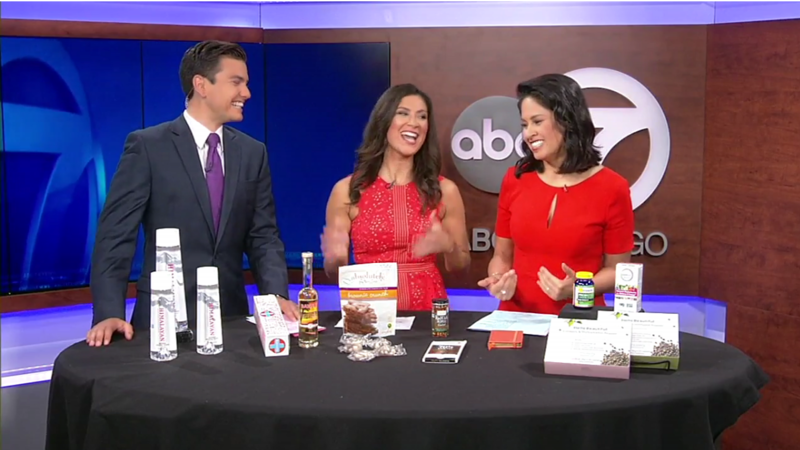 But have no fear because as a Health & Weight Loss Expert I stopped by ABC Chicago to talk about five ways to beat summer sugar cravings. How can you have a good time this summer and still keep those summer sugar cravings in check? A lot of my private weight loss clients are very successful corporate executives, but even they need a little help finding success in weight loss and in kicking sugar cravings. The truth is–we all do! Here are five tips to curb sugar cravings and lose weight this summer. 1. Drink More Water. Lose Weight Faster. My first tip is to drink half your body weight in ounces of water per day! One of my private weight loss clients in Chicago started our private weight loss program, and was drinking seven diet sodas a day. After one week of drinking more water, she was down to two sodas A WEEK! What a huge transformation in a short period of time. As the best weight loss coach for women (according to my clients! ), that’s my goal–minimal effort with maximum and fast results. Some of my clients prefer to drink fizzy water (I recommend using Soda Stream for this), and others prefer bottled water like the Himalayan mineral water I featured on the ABC Chicago TV segment. Next, so many diet programs for women label foods as “off limits.” If you go to a party and focus on everything you can’t eat, that’s no fun! Instead, think about what you CAN eat or drink. If you’re making your own cocktails, try Batiste rum with no added sugar. If you’re eating snacks at home, buy single serving treats that are healthy, like these yummy treats by Absolutely Gluten Free. If you just can’t stop eating sugar, it’s time to change your taste buds! Instead of reaching for another scoop of ice cream, force yourself to eat a piece of super dark chocolate. Or, add more spice to your food. Eat vegetables. Eat something completely opposite of whatever sugary thing you’re currently eating. You’ll be surprised at what it does to retrain your taste buds. Knowledge is power. In my wellness programs for women, and in my private weight loss programs for women, I encourage my weight loss clients to track their food, but only for two days at a time. You just need to bring awareness to what you’re eating everyday, and then you can make a positive change. Finally, it’s time to ditch the all-or-nothing mentality that’s so prevalent in many mainstream diets! The best diet for women is to eat in moderation. Do still take your multi-vitamins, your probiotics, and any other health products you’re using even if you have an “off” or unhealthy eating day. 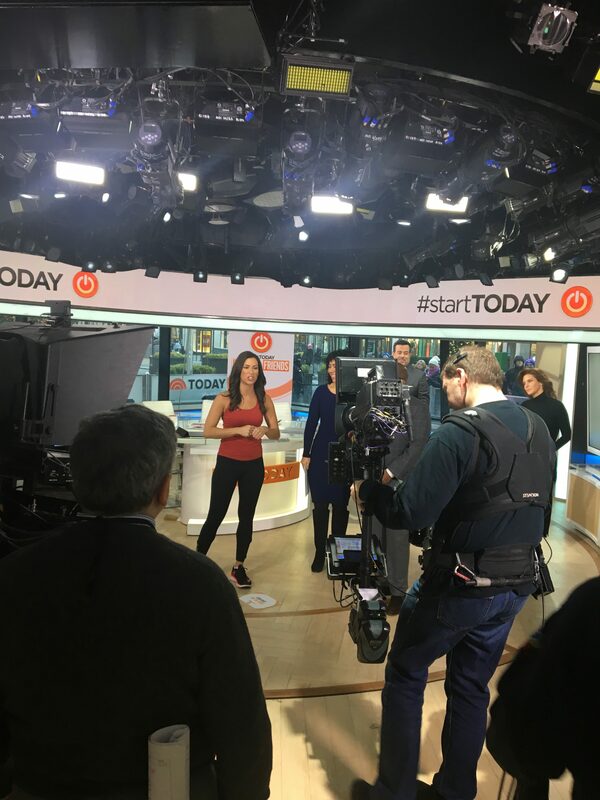 As a private weight loss coach for women in Chicago and across the country, I contribute as a health and fitness expert for the Today Show and many other online publications. I love helping women everywhere to lose weight, to stick to their health program, and to find foods and workouts that they love! Check out my most recent articles below. I loved writing this article because many diets for women just don’t work the way they’re supposed to. There are signs that you are losing weight even if the scale isn’t budging, and that’s why all of my private weight loss programs are holistic and help my clients to lose weight and make it last! This article talks about ways to eat slower and therefore healthier. When you slow down your pace of eating, you’ll be able to be more mindful about the food you’re eating. As a private weight loss coach for women, this is key to weight loss! As seen in Self online, I dissected the plank workout that a celebrity trainer designed for one of Hollywood’s best known celebrities! Add in this plank exercise to your next workout to work the whole core. I love giving my private weight loss clients quick workouts that they can do anytime, anywhere. Try out this one workout move featured in Self. Looking for easy ways to lose weight? Or are you looking for an easy exercise to lose weight? My workout programs are for women and are designed to strengthen your entire body. Check out my take on these exercises for Self online. 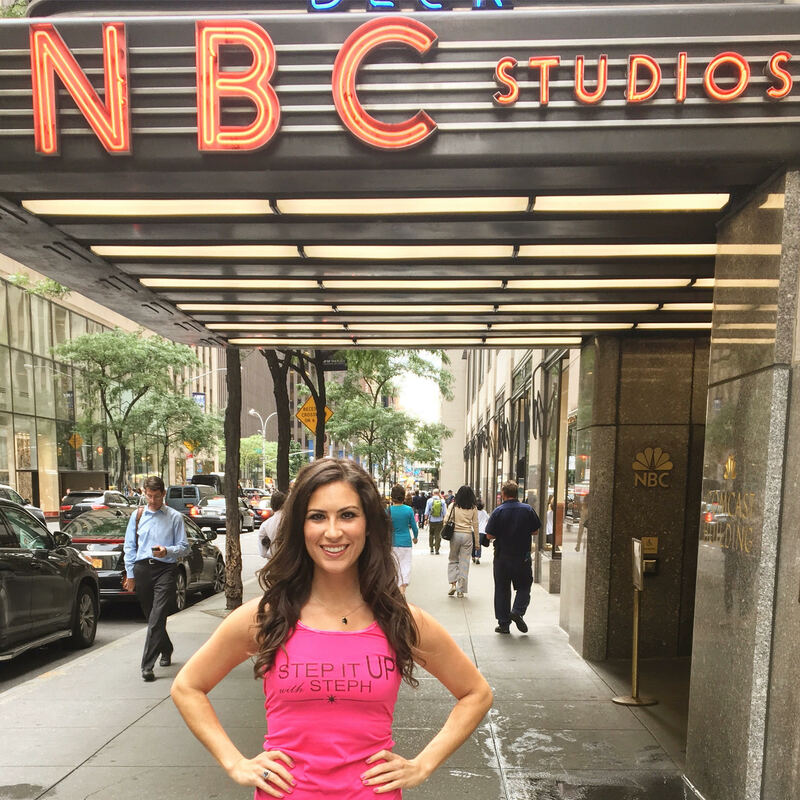 Self online featured this kettle bell workout that was demonstrated on the Today Show. Check out my take on the benefits of this kettle bell workout and how you can use a kettle bell in your next workout! Many of my private weight loss clients are busy and successful. As a private weight loss coach and a private fitness coach for women, I specialize in helping successful women lose weight. As a private weight loss coach for women and as a wellness coach, I always encourage my clients to walk more! If you’re ready to walk your way to weight loss, it’s important to wear very supportive walking shoes that’ll keep your body injury-free. Check out my latest article for The Today Show where I interview experts and share my top picks for best running shoes for women! 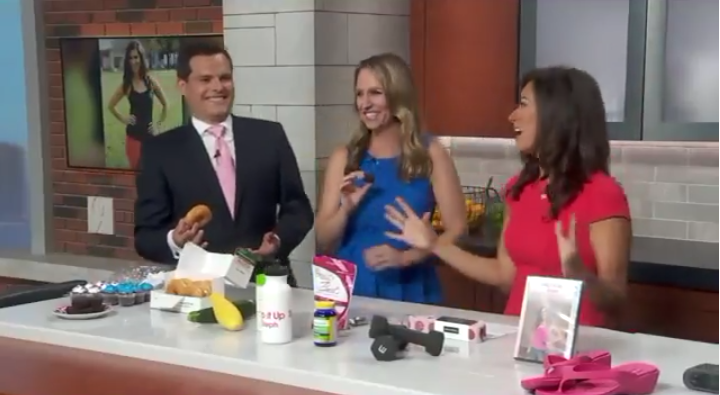 Chicago’s best weight loss coach for women is also a Today Show online contributor! In her latest article, Steph talks about three ways to make sure your New Year’s Resolutions stick. In this article, professional life coach and wellness expert Stephanie Mansour talks about three of the things her private weight loss programs work on with her clients. Her weight loss programs for women include much more than these three items, but these three are key to get in the right mindset in order to lose weight. If you have had a hard time losing weight, or have had a hard time reaching your goals, check out the article! The best way to lose weight is to focus on it throughout the day and to make slow but steady changes to your lifestyle. Steph’s private weight loss programs for women have helped women in Chicago and beyond lose weight fast and most importantly, keep it off. If you are looking for a wellness coach, personal trainer, yoga instructor, or Pilates instructor, you’ve found the best personal trainer in Chicago and beyond! As a health & fitness expert, my goal is to make getting in shape and exercising more fun. Part of that is finding ways to incorporate exercise in your daily activities! So I teamed up with Dreamfields Pasta to create some exercise videos that you can do when you’re coming home from the grocery store and in the kitchen!